In early May of this year I visited Burnaby Lake early one morning looking for crepuscular subjects. To my surprise someone else was already there and he was seeking a particular bird he had only obtained a glimpse of the previous evening. 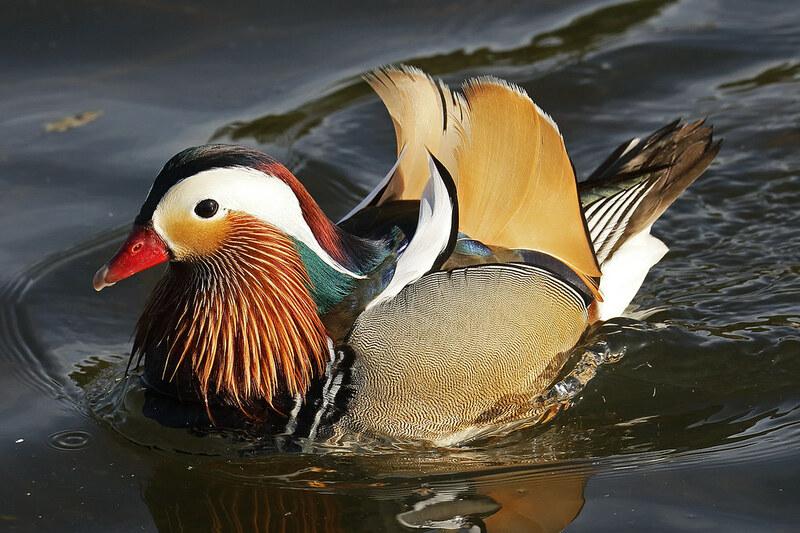 A Mandarin Duck drake in breeding plumage. 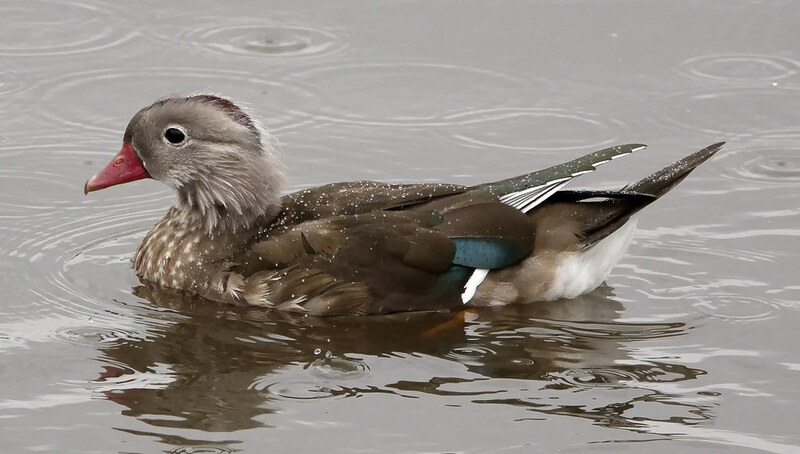 After some time we spotted the bird mingling with Wood Ducks. He was also shy compared with the ducks one usually encounters at Piper Spit. The other early riser had brought along some grain to attract him. Indeed, he seemed to recognize grain from a distance and swam right over to get his share. The normal duck fare given out there didn't seem to interest him much. So I took many photos of him as it was the first time I had seen this species. On future visits to this location I occasionally spotted him. However, he had lost his brilliant feathers. 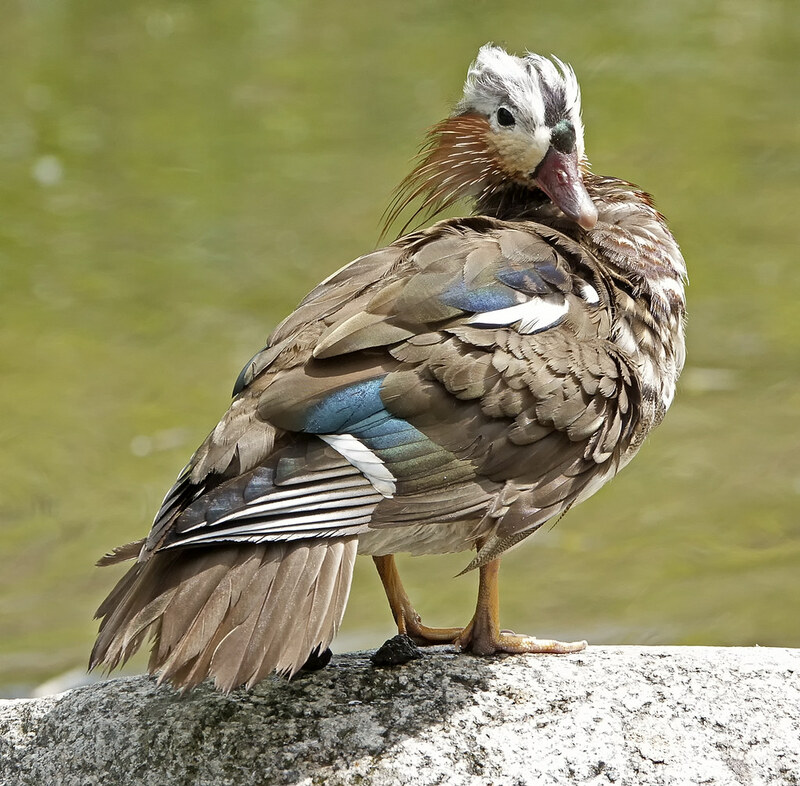 Then a few weeks ago, he started to transition into a fresh-looking bird, albeit not with brilliant colours. Just in the past week I noticed him again, but now clearly transitioning into something special. 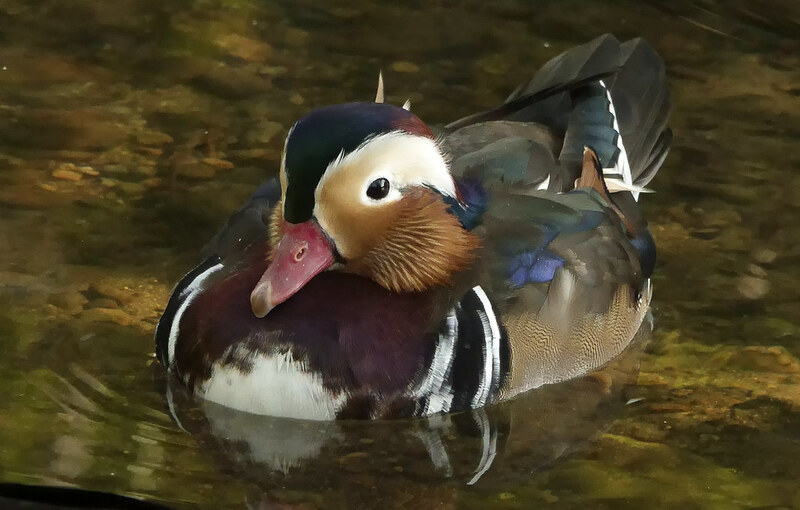 He is also much more comfortable around humans and someone said he is following a female Wood Duck around. Apparently such hybrids are not fertile. Quite an amazing transformation, an interesting series.